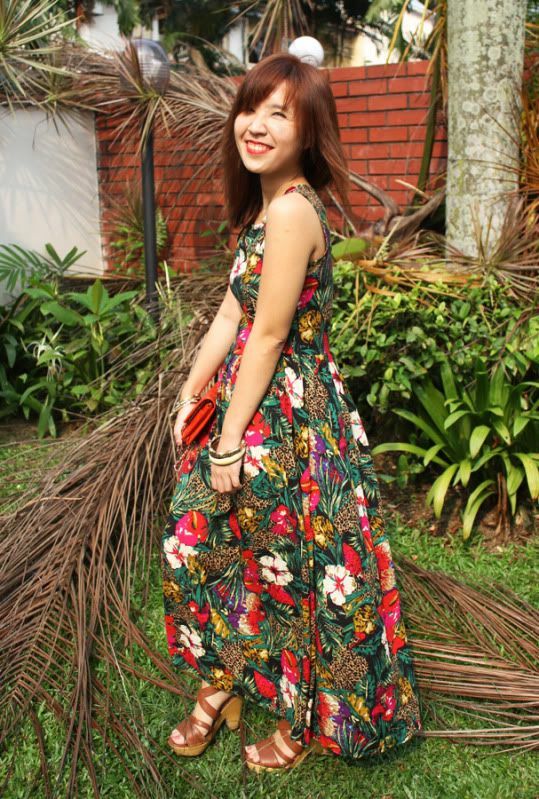 Revel in me...: Tropical print. 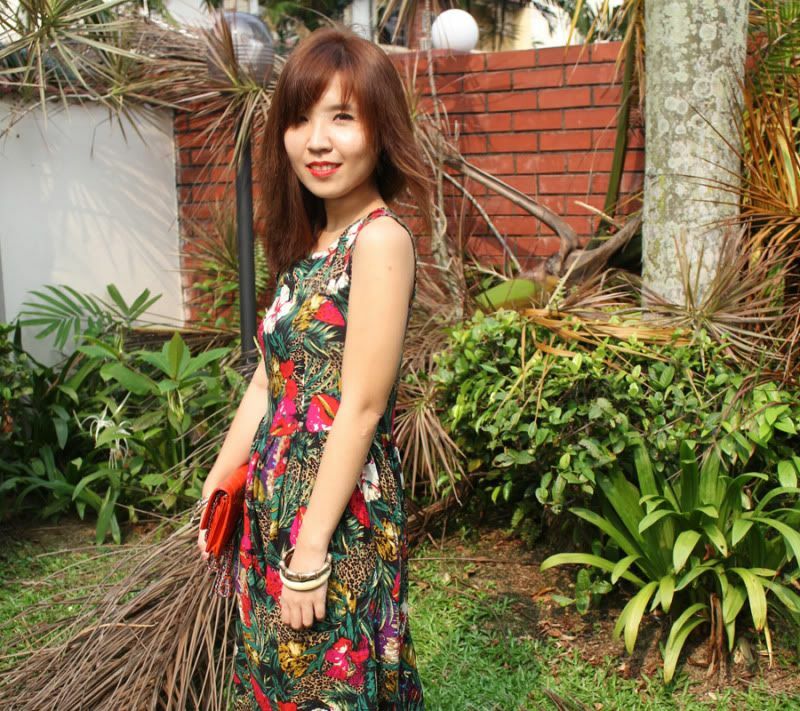 I am not so much of a floral print girl, because florals are sometimes too girlie for my tastes. But give me a tropical print and I am yours. Beautiful jewelry that I managed to thrift in Chatchuchak market (literally from this basket of secondhand? vintage? jewelries), Bangkok. 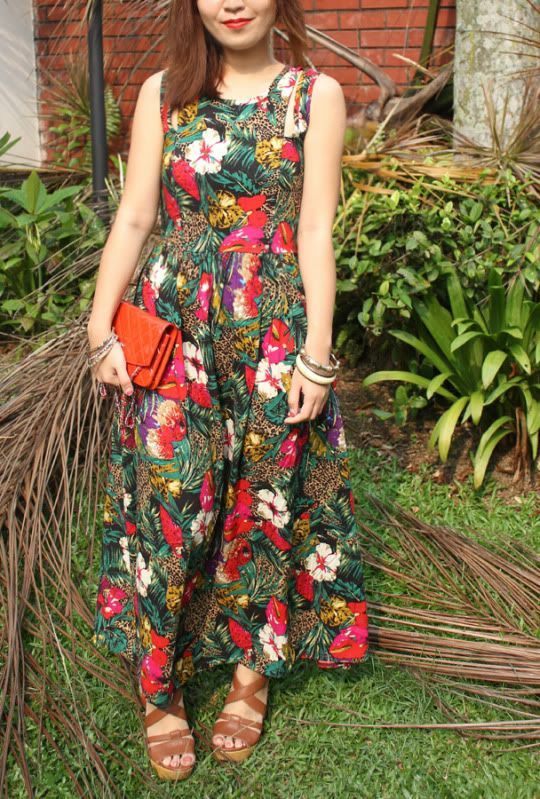 Wearing possibly one of my favorite maxi dresses with the most vibrant, eye-catching tropical print. Ironically, I think it rained or something the day before, so there were all this fallen dried fronds in my garden, which created the perfect backdrop for my dress, haha. Showing off the sleek brass knuckle ring, reminds me of Margiela accessories. And another reason why I love my dress so much-- the cutouts at the shoulder! 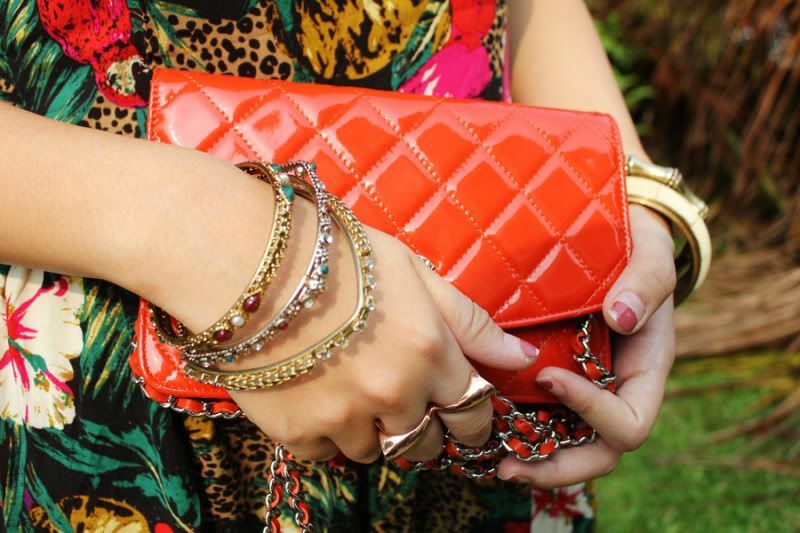 Accents of red -- my mom's Chanel purse and red lipstick (Lady Dragon by MAC). Kind of the perfect summer outfit, really. Badminton freaks, do come early (from 4pm onwards), because the “GATEMINTON” tournament by The Cube is happening right before the semifinals. It’s simple – beat your opponent in a ‘gateminton’ match and pick up cash prizes-- the more rounds you win, the more cash prizes you pick up! ii) Spot the shuttlecock in the MMS Puzzle and stand to get rewarded! – just send ON GAME to 22229! 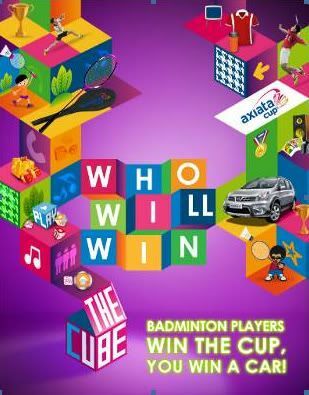 iii) Or check out http://www.thecube.my/mdp/promo_axiatacup.jsp for many other ways to join WHO WILL WIN on The Cube! A brand new NISSAN LIVINA X-GEAR is up for grabs as well! For more information, check out www.facebook.com/xpaxfb. 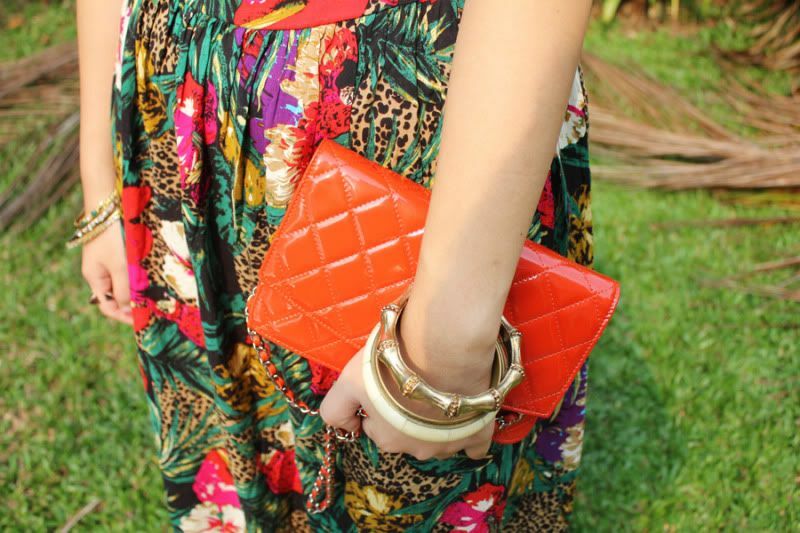 I ♥ tropical prints too!